In a couple of weeks I'm going to be leading a presentation and workshop at the 4th Annual Spring Writing Intensive at St. John's College in Annapolis, Maryland. The session is about crafting suspense, and it borrows its title from the Ellery Queen's Mystery Magazine blog—"Something Is Going To Happen"—but when I was planning this with the program's organizers, they threw in a surprise: They had already scheduled a session on genre fiction, and they didn't want mine to be focused on mysteries. Crafting suspense but not in the mystery genre? Well, I'll admit some surprise at the request—but only since people who ask me to present at these kinds of gatherings usually want me talking about genre fiction. Truth is, I think the broader scope here actually makes for a more interesting discussion—about the range of different approaches available for capturing a reader's curiosity, introducing the stakes of a plot, getting that reader invested, getting him or her to turn that next page. Hooking your readers with a killer opening—that’s a must. But how do you get them to turn not just the first page but the next too? and then the next? …and the next? Crafting suspense may seem like the special province of crime fiction writers, but literary writers and genre writers both can profit from heightening tension, escalating conflict, tossing in the unexpected left turn, and generally keeping readers focused on the idea that “something is going to happen,” (to borrow the title of Ellery Queen’s Mystery Magazine’s weekly blog). This session draws on work by writers including Patricia Highsmith, Alice Munro, Joyce Carol Oates, and Scott Turow to illustrate various techniques for incorporating suspense into your own work. ...though as I'm prepping for the session itself, and here with a couple of recent events, I'm considering substituting a couple of authors for those mentioned above. 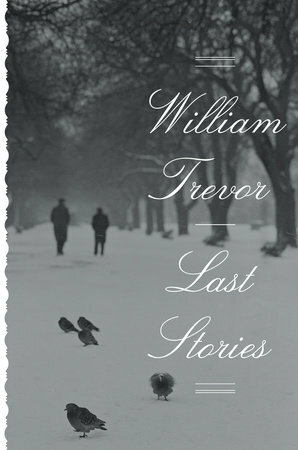 I'm writing this post just as news comes out about the death of Philip Roth, one of my own favorite novelists, and earlier this week I picked up the collection Last Stories by William Trevor, who died in 2016—another favorite writer and one of the great masters of the short story, not just now but ever. Neither of these writers is known for flashy, grabby openings; in fact, the New York Times' book review of Trevor's Last Stories commented directly on his low-key approach: "Most notably, his stories open with comments so blandly informational, so plain and unnoticeable, that they arouse no expectation and appear to promise little." And yet, I find myself drawn in quickly to Trevor's stories, to stakes which are at once high but muted, their intensity downplayed but maybe all the more engaging for it. 'Yes?' Olivia says on the answering system when the doorbell rings in the middle of The Return of the Thin Man. The summons is an irritation on a Sunday afternoon, when it couldn't possibly be the meter-man or the postman, and it's most unlikely to be Courtney Haynes, the porter. A woman's voice crackles back at her but Olivia can't hear what she says. More distinctly, the dialogue of the film reaches her from the sitting room. 'Cocktail time,' William Powell is saying, and there's the barking of a dog. The man Olivia lives with laughs. 'Your husband?' Frowning, more irritated than she has been, Olivia suggests the wrong bell has been rung. The opening scene continues on for three more short paragraphs, but this is enough, I think. The opening scenes set the stage for all that follows: Two women connected by the husband of one of them, their conversation about those connections (though the title "Making Conversation" refers to something else entirely). The pace is leisurely, it would be charitable to say—a sketch of a Sunday afternoon, a small interruption. So is there... suspense? Certainly there are questions raised here, both within the scene and pointing further ahead. What was said in that crackle that Olivia doesn't hear? Is the woman at the wrong address? Does Olivia know her husband? Is he perhaps even the man sitting there watching Return of the Thin Man? Conventional approaches to suspense might require the drama to be amped up more forcefully. Not a ring of the doorbell but a blaring of it—the bell pushed and held. Or someone pounding on the door itself. Not a voice lost in a crackle but a voice screaming, shouting, demanding. The irritation would become anxiety or fear. That word insists would need to tremble with a little more menace. And yet I find myself drawn forward—and the story amply rewards, mysteries in bloom, though perhaps not the kinds of mysteries we think of with genre fiction. It was in the summer of 1998 that my neighbor Coleman Silk—who, before retiring two years earlier, had been a classics professor at nearby Athena College for some twenty-odd years as well as serving for sixteen more as the dean of faculty—confided to me that, at the age of seventy-one, he was having an affair with a thirty-four-year-old cleaning woman who worked down at the college. Twice a week she also cleaned the rural post office, a small gray clapboard shack that looked as if it might have sheltered an Okie family from the winds of the Dust Bowl back in the 1930s and that, sitting alone and forlorn across from the gas station and the general store, flies its American flag at the junction of the two roads that mark the commercial center of this mountainside town. Coleman had first seen the woman mopping the post office floor when he went around late one day, a few minutes before closing time, to get his mail—a thin, tall, angular woman with graying blond hair yanked back into a ponytail and the kind of severely sculpted features customarily associated with the church-ruled, hardworking goodwives who suffered through New England's harsh beginnings, stern colonial women locked up within the reigning morality and obedient to it. 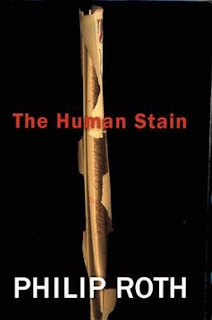 Her name was Faunia Farley, and whatever miseries she endured she kept concealed behind one of those inexpressive bone faces that hide nothing and bespeak an immense loneliness. Faunia lived in a room at a local dairy farm where she helped with the milking in order to pay her rent. She'd had two years of high school education. No rush of suspense here—none that I can see—and not even drama in the sense of conventional scene-building. It's all exposition and description. But the foundation for tension is laid: in the words affair and confided, for example; in the contrasts between the idea of an affair and the description of "church-ruled, hardworking goodwives" and "stern colonial women locked up within the reigning morality and obedient to it"; in the contrast between miseries "concealed" and a face which "hide[s] nothing"; and then in the disparity between the main characters' ages—71 and 34—and their educational backgrounds, a classics professor and a high school dropout. Needless to say, undramatic as all this is, there's plenty of drama ahead. But does this count as suspense as well? How about if you add in the chapter title looming over this bit of confidence? "Everyone Knows." Such are the questions I'm going to try to explore in my session at St. John's—perhaps not with these passages, which I've chosen mainly because Trevor and Roth have been on my mind today, this week, but with similar ones, looking to see how writers introduce small bits of tension and conflict from the start, how they raise the stakes bit by bit, often in excruciating ways, and, of course, what we other writers might learn from these moves. A bit of news since my last post here: I'm honored that my story "A Necessary Ingredient" has been named a finalist for this year's Anthony Award for Best Short Story, alongside stories by my fellow SleuthSayer Barb Goffman and by Susana Calkins, Jen Conley, Hilary Davidson, and Debra H. Goldstein. 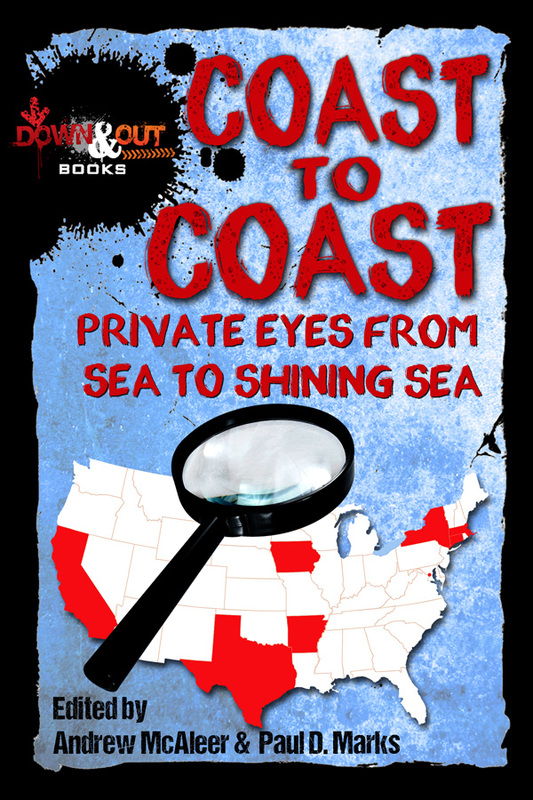 As I've mentioned before, my story was part of the anthology Coast to Coast: Private Eyes from Sea to Shining Sea, co-edited by SleuthSayer Paul D. Marks, also a finalist for an Anthony in the anthology category, and featuring stories by several more of our SleuthSayers family. Been a great year for this anthology, and I'm thrilled to have been invited to be part of it. Oh! And I hope you'll enjoy the story itself, which you can read here for free. See you all at Bouchercon in just a few months! Sounds like an interesting workshop, Art. And I've heard it said and have to agree that basically every story is a suspense story, or at least should be. There has to be something to keep the reader turning pages and pushing forward. When I was younger, I would finish reading just about everything I started (except Gravity's Rainbow, which I tried three times and failed three times), but these days if I'm not hooked in the first 50-100 pages I'll quit. I don't want to and part of me wants to keep trudging on, but there's too many books, too little time, as the saying goes. And a bit of suspense helps keep me interested. It doesn't to be a murder, or genre-style suspense, but there needs to be something that keeps pulling one in deeper and deeper. And congratulations on your Anthony nom! And thanks for the shout out. Should be a good workshop. I have always felt Jane Austen was a master of suspense, too, in a quite different way- will he, won't he and should she shouldn't she etc. Thanks for the comments here, Paul and Janice. I agree that every writer has to find a way to keep the reader turning the next page--and yes on Austen, Janice! Thanks for the feedback. I agree with your friend/fellow writer Paul D. Marks that any or practically any story is a suspense story. I just finished a whimsical, Southern novel by Ann B Ross called Miss Julia Speaks her Mind. The opening sentence is "I'd just caught my breath after the shock of my husband's sudden passing when his last legacy showed up on my front porch." There are lots of details after that and a convoluted and farcical plot emerges (with underpinnings of serious issues like the role of religion in Southern society, religion and women, the patriarchal society and how it affects everyone it touches, what is family? But the main story is in the first sentence -- if it doesn't make you want to know more, all I can say is you're not very curious. I, too agree that most stories have some level of suspense in them, otherwise people wouldn't keep reading. Dickens was a master at it. So was Austen, Nathaniel Hawthorne, James Thurber, Fanny Flagg, Wodehouse, and many, many more. Thanks, Sandy and Eve! I haven't read any of the Miss Julia novels, but that first line.... agreed! It's strong! And that whole list of authors you mentioned as well, Eve--great storytellers all. Is it just me--I got completely bogged down in the opening Roth paragraph by all the numbers. Summer of 1998. Two years earlier. Twenty-four odd years. Sixteen more. Age of seventy-one. Thirty-four-year-old cleaning woman. Twice a week. Back in the 1930s. Two roads. I have to think Roth did this purposely. Is there a reason for it? And thanks for the shout-out, and congrats again on the Anthony nom! I'm a big fan of the quiet opening that makes the reader just a bit nervous, and these are two good example of how it is done. No gun shots or car crashes, just the sense of things slightly off kilter. Thank you for a thoughtful post. I wish I could be at the workshop. Thanks, Barb and Patricia--and sorry I've been so slow to respond here! I think that's a great phrase, Patricia, about making a reader "just a bit nervous." I still think one of the most effective and chilling suspense scenes is just three people sitting around having drinks and snacks in the opening sections of Patricia Highsmith's Ripley Under Water. Every bit of it is unnerving, even as "nothing" happens. And Barb, interesting points about all the numbers there. I'll admit I hadn't noticed until you'd pointed out! Not sure what the reason might be, though we do get pretty precise details about the history and particulars of the two principals here in the process. Wonder what it would have been like if he's left out the years in a couple of places.